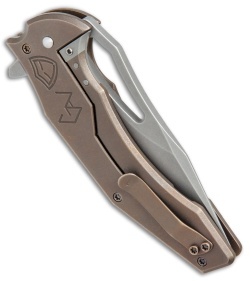 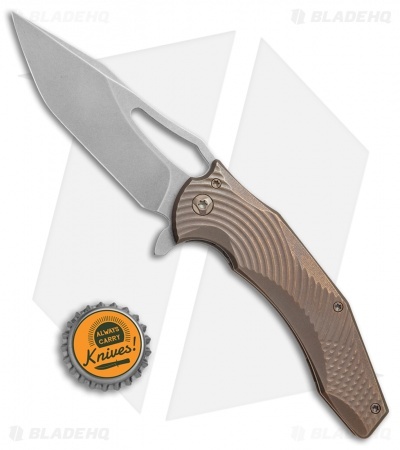 This FerKo Spinner knife features a contoured milled patterned titanium frame lock handle in a bronze anodized finish with bronzed hardware and pocket clip. 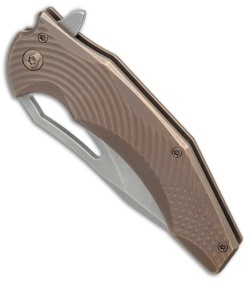 It has a stonewashed CPM-20CV steel blade. 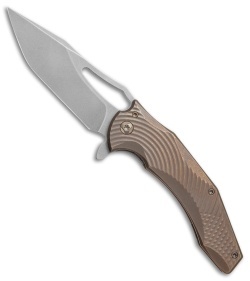 This is a flipper model.